Zone Your Cooling and Benefit! Could you imagine walking into your home, and switching on one light switch, to have every light in your home turn on? Not only is this silly, it’s a waste of energy and thus, your money. But, when you think about it, this is what’s going on when you turn on your central air conditioner in your home. You are cooling the whole house, which means you’re even cooling rooms that are unoccupied, or simply don’t need the temperature lowered. With a zone control system installation in San Antonio, TX, you can take greater control over the way in which you cool your living space. This system enables you to adjust temperatures in a single zone in your home without needing to raise or lower the temperature in others. There are number of benefits to cooling your home in this manner. It’s important to remember, however, that any system installation should be completed by trained professionals—as only we can guarantee that your system is compatible with such as upgrade. Keep reading to learn more about zoned cooling and its benefits. Posted in Air Conditioning | Comments Off on Zone Your Cooling and Benefit! 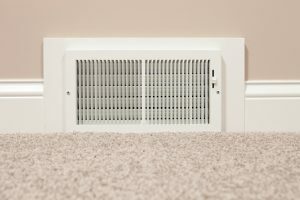 Seemingly endless heat is not anything we’re strangers to, and with temperatures already approaching their peak for the summer, it’s imperative to have a fully functional and efficiently operating air conditioning system on your side. If you’ve had the system maintained within the last year—or the last 6 months, if you have a heat pump, then your cooling system has a good chance of working through the season without encountering many issues or any drop in efficiency. However, even professional maintenance can’t help you avoid all air conditioning repairs in San Antonio, TX. 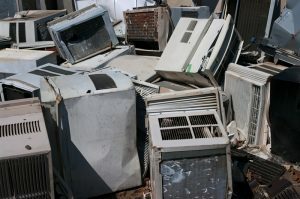 Therefore, it’s vital that you know the signs of an air conditioning system that’s in trouble. We’ve shared 4, below!